Dear Parents, now it’s a high time to look for the best Android Apps for toddlers and pre-schoolers. As Android apps is now a growing field with numerous apps day by day targeting all age group and almost all the sectors. Then why not use it in your every day’s action, Such as a developmental tool for your kid. But now comes the question that how do you know which would be the best android apps for toddlers and pre-schoolers. It will occupy less space on your gadget. To ease your pain of searching for the best Android Apps for toddlers and pre-schoolers, we are here presenting these following apps to you according to the requirement of your kid’s appropriate and well mental development. A fantastic work of action with alphabets! In this app,s there are 26 interacting games for 26 alphabets and each alphabet is introduced as a verb as their keywords instead of a noun like all the typical alphabetic apps do. The use of verbs as key words leads your toddlers and pre-schoolers to a helpful environment of every day’s activities. He/she will able to relate the meaning of their many doings. Here ‘A’ stands for ‘Add’; ‘B’ for ‘Build’ and many more real-life verbs for actions. This will take toddlers and preschoolers vocabulary to a higher level as they could use the same verb with many nouns. This Android app is an entertainment package with great sound, in built songs and interacting games, so kids are easily attracted to the app. It is undoubtedly child-friendly as it has no external links, no in-apps purchases, no social media and yes, of course highly protected by an effective parent gate. So now you can get the Alphatots Alphabet Apps for toddlers and pre-schoolers and make their journey with Alphabets delightful. Are you willing to have a right balance between proper education and fun for your toddlers and pre-schoolers? Then Dino Dots is the right catch for you. This unique App is occupied with three difficulty levels, and each level contains 48 scenes of total 90 different interesting pictures. These pictures are waiting for the kids to re-create by dot to dot joining with lots of fun. And your toddlers and pre-schoolers will get appreciation after completing a picture by amusement as colourful balloons fly up, and bubbles drop. So they got the high motivation to proceed in the game. This app sharpens their fine motor skills, cognitive skills, visual-spatial skills, shape-pattern recognition by connecting dots. This app contains kid’s safe buttons to prevent parent related page entry, no ads but there is in-app purchase to unlock all scenes. You will get the first five scenes are open for free. The fun tour of 90 unique and colourful picture’s discovery will keep your toddlers and pre-schoolers entertained while improving their skills. Every toddlers and pre-schoolers are super-excited about colouring and drawing. Their interest in this field also becomes a tool for improved development. Kids Doodle: Color and draw, can be the best Android app for your toddlers and pre-schoolers because a load of pros is huge. 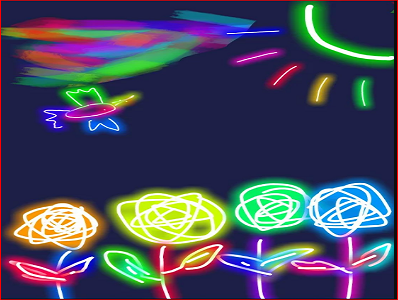 Key points of the app are it can paint on canvas or the photo with 18 brushes (such as- rainbow, glow, spray, crayon etc.). The colours are surprisingly bright, and there is a built-in gallery store for the kid’s doodles and animation. The app has a unique ‘movie’ mode which can put a show of your toddlers and pre-schoolers artwork as a little film. The app not only contains ‘undo’, ‘redo’ options but also you can shake the phone to clear an unwanted painting. So, no more wasting time and download the app ‘Kids Doodle: Color & Draw’ and expand the imagination skill of your toddlers and pre-schoolers. This simple musical app is a perfect choice for your toddlers and pre-schoolers. This is an easy and natural sounded app which can be a fun friend for your kid. It is as simple as tapping on the colourful Xylophone bars. So they can play it swiftly and learn the names or notes in no time. Music always has a solid possession of kids thus this app helps them to grow a sense of harmony inside. They also become serene listeners when you or the teacher plays a song to them and begin to understand the relation between a single note and a complete song. They can realize the idea that individual notes played together to make the song ‘Happy Birthday!’ and many more. By tapping out different beats, they can learn about rhythm. So get the app ‘Awesome Xylophone’ to improve your toddlers and preschoolers cognitive development; engagement and patience; and creativity. Knowing the numbers and count them are two different things for the kids. Most of the toddlers and pre-schoolers can easily memorize the numbers but have difficulty to count things. 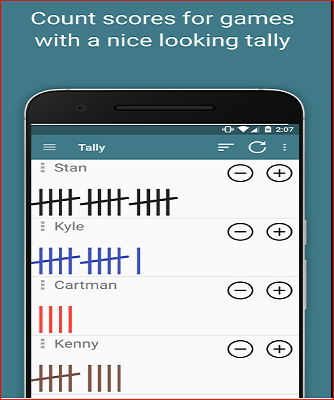 Tally tots app can be a great help in this cases of your toddlers and pre-schoolers. It will make your kid count various objects appropriately and without fail. Using numerous items and gestures, this app will make your kid involved and simultaneously learned to count. Each number comes up with an activity, such as – ‘7’ comes up with an idea of making a burger or sandwich with seven ingredients. The main features of the app are it contains 20 puzzles and little games that teach numbers, basic math, order and sorting; the bold digits and numbers in attractive colours so your child can merely read and see. The app also has an interactive 1-to-100 number guide to test your children. The app is safe, unstressed play with a concrete Parent Gate and no go-between ads, so your toddlers and pre-schoolers can pay full attention and learn with fun. Hope you have got some idea about choosing the best android app for toddlers and pre-schoolers. If you can’t satisfied yet, you can take a look at our part 2 post related to your enquiry. In this section, we try to introduce you to some excellent app. If you have interest in mobile photography, you can take a look at best camera app for android phone.